The Willet, Tringa semipalmata, is one of the most common large shorebirds in the fall and spring migration in New Jersey and other places along the mid Atlantic coast. 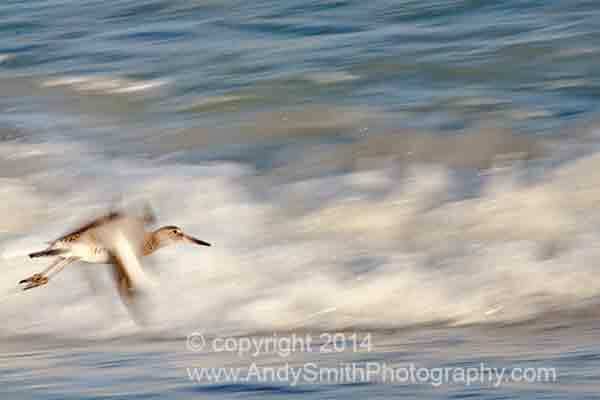 This one is flying by the surf on the beach at Assateague Island, Maryland. The use of a slow shutter speed gives the blurred effect.